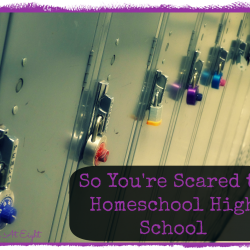 Homeschooling high school is a new step in our home school journey this year. While I did research, and preparation during our daughter’s middle school years, my research and learning still continues. 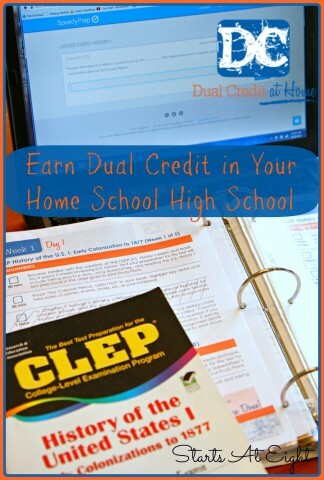 Recently I found a program to help my high schooler earn dual credit while homeschooling. I would like to share with you how to earn dual credit in your home school using a program called Dual Credit at Home. Dual Credit at Home is a company who offers plans and resources to help high school students earn both high school and college credit by completing college-level core subjects during high school. 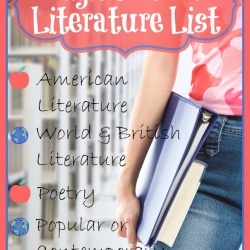 Their Study Plans will guide your student through 13 college-level exams (CLEP Exams) directly related to the core curriculum for high school and college studies. These exams will give them the opportunity to earn 57 college credits. Once you enroll, your student is immediately mailed the Getting Started Kit which contains a 3-ring binder, exam calendar, labeled dividers & tabs numbered 1-49, and complete information on books/materials to gather and what to do when your first Study Plan arrives! The 49 Weekly Dual Credit Study Plans and Extra Mile Assignments will begin to arrive in your inbox on Mondays, within a set number of weeks, giving you time to gather your needed books and be prepared to begin. Dual Credit at Home is set up to take approximately 5 hours per day to complete the core of the program. Given the extensive amount of time commitment, we chose to stretch each week out over two. Let me tell you why: In NYS we are required to log a certain number of hours per year in each of a given list of subjects, therefore we did not stop doing our math, science, and electives while working through the Dual Credit program. Secondly, my daughter is a competitive gymnast and therefore spends many hours a day at the gym. 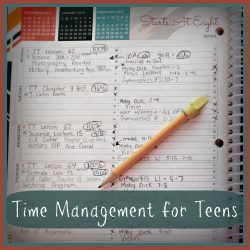 For these reasons we needed to stretch out each week into two in order for her to have enough time to complete her studies without feeling completely overwhelmed and overworked. What is so great about Dual Credit is that stretching it out was no big deal! 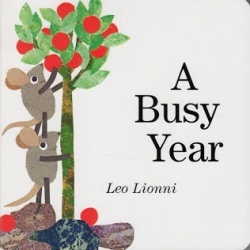 My daughter still followed the same laid out plans, completing each task that was given, she just stretched it out over more days! 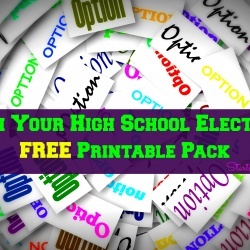 This program is totally laid out and organized for you! 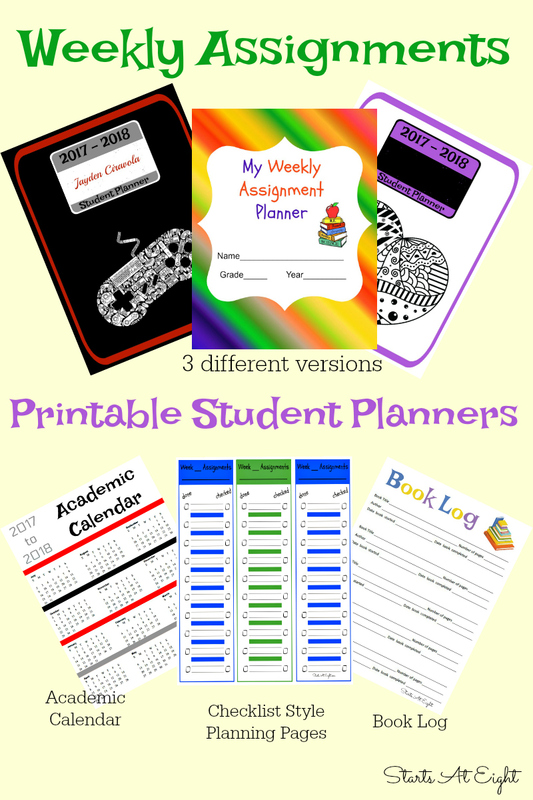 Now I am an organizer and planner extraordinaire, but it takes me an extensive amount of time to plan out each year. Dual Credit does it all for you with easy to follow plans that your student can do without your assistance. That means more free time for Mom! While the program is laid out and structured, it still leaves room to adjust as needed. You can choose to do some, all, or none of the Extra Mile activities. You can stretch out the weeks like we chose to do or you can even just take more time to study using the Speedy Prep online CLEP Study resource that you use with the Dual Credit program. Note taking skills are an essential part of this program. My daughter quickly learned that her method of note taking was not thorough enough and learned to adapt as she went. Learning to note take is a skill that is invaluable as you work your way through high school and college classes. Following this program is money-saving! With this program you can potentially study and take 13 CLEP exams for around the cost of just one class at a community college! Add to that the time and expense you save in transportation to and from to take classes and the savings are undeniable! If you think that saving time, and money by simultaneously homeschooling high school and earning college credit might be a good fit for your family then click here to Enroll at Dual Credit at Home. The cost for full the Dual Credit at Home program is $1096. Check out what myself and other iHomechool Network bloggers who have used the Dual Credit at Home program with their children have to say about it. Also hear owner and founder Becky Muldrow tell you about it in her own words. I love the idea of dual enrollment. This sounds like it might be what I have been looking for. My son is looking to earn as much as he can before starting college. This is great. Sounds like a great program and I entered the giveaway. Thanks for sharing this with us!! Its a sound plan to help children earn a bit of credit for college. I’m hoping my girls excel at dual credit! This is right up our alley. My son wants to graduate early and get started with college ASAP! Thank you! Dual enrollment sounds like a great idea! What a wonderful idea! Great giveaway! I love this idea! We are in NY State and it sounds like an option for my high school student! Very cool – this sounds wonderful! This is so great! I went to public school and took several dual credit classes while in high school. I loved getting a head start on college. 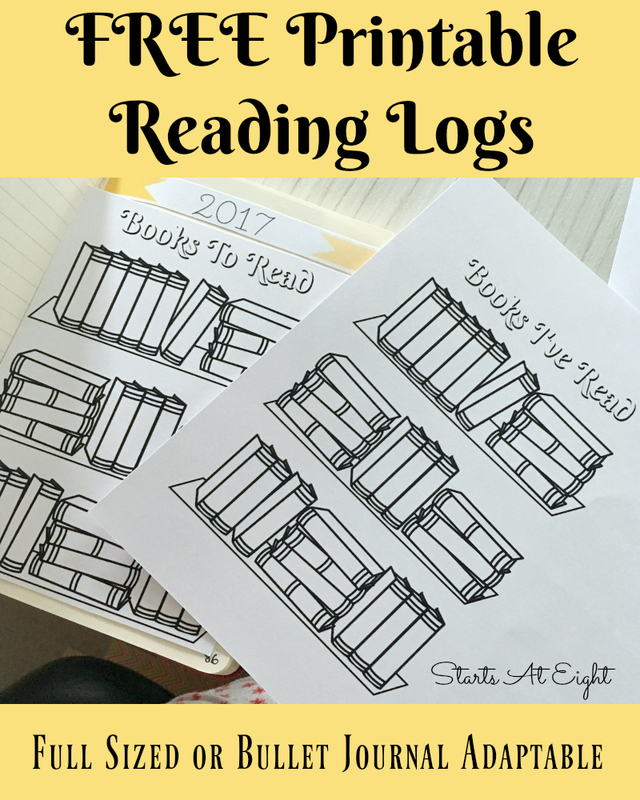 We plan on homeschooling our daughter and I hope she is able to do this as well! I mean, 57 college credits?! That’s nuts! That’s like 2-3 years of college! Really interested in this for my son. Thank you for sharing this information. Wow. This seems like a thorough program. We are busy looking into DE for our oldest as this will be his first year of high school. This information is VERY helpful! 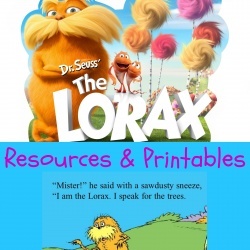 Thanks for sharing at the Finishing Strong Link-up. Once the program is complete, does that mean there are enough credits to graduate high school?